To be completely honest with you, it was an agonising decision to have to pick between the two kweens of Broad City, as I count down to its heartbreaking, soul shaking, crushing end this week. The choice, I imagine, would be like trying to pick one’s favourite phone wig. In any event, I had to make my choice like Sophie, and I settled on the hand-shaking icon that is the one Miss Abbi Jacobson. I’ve been a close friend of both broads since they’re time at UCB, and shocked even myself, when I didn’t cut them from my life as soon as they opted to produce Broad City without me. They’re reason making so much sense, in that I, their teacher, could intimidate the with my talent. But this is about my glorious bond with Ab, so I need to get back on track. As an avid, half-arsed videographer, we bonded when she put her MICA training to use by trying to give me some tricks of the trade. While most people would call me a lost cause, Abs pushed through and for that I am forever grateful. While I had my guard up and was pretty grumpy when she arrived at my door – the phrase, “you and Ilana have betrayed me by ending the show on a high note, on your own terms,” may have been uttered – she quickly softened the blow by reminding me that the episodes will live on forever. And by promising me that they will give me in character skypes each month. 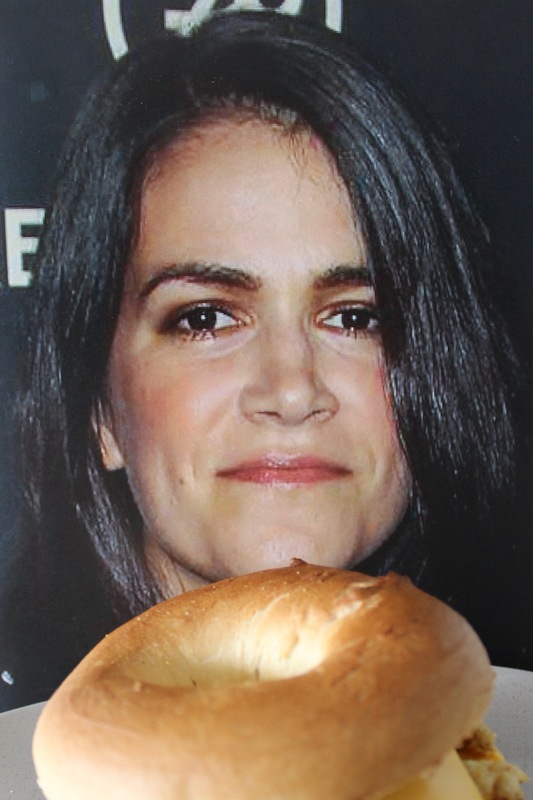 With that, I no longer held it against her and was strong enough to toast their success with a freshly toasted, Broad City approved Ab-BEC Jacobson. The gals have oft extolled the virtues of a bodega sandwich, but TBH, I was always too terrified to try one given the fact I only stumbled into bodegas to get beer and use extremely flawed ATMs. But one time Abs took me by force and I fell in love. While I am tragically bodega-less in Brisbane, this little home-job sure makes me feel like I’m back in the boroughs. Salty, gooey and oh so warming – can you tell I’m under a really cold air-con vent right now? – this bagel is near perfection. Place a skillet over medium heat until nice and hot. Add the bacon and cook, flipping once, until glorious and crisp. Remove from the pan to drain on some kitchen paper. Add the bagels to pan, split side down, and cook for a couple of minutes, or until they’re golden and crisp on the inside. Remove from the pan and line the bottom half with three rashers of bacon each and a slice of cheese. Finally pour the eggs into the pan and cook, folding on top of itself, until just set. Immediately place on top of the bacon and cheese. Another another slice of cheese, just because, and close up sandy. 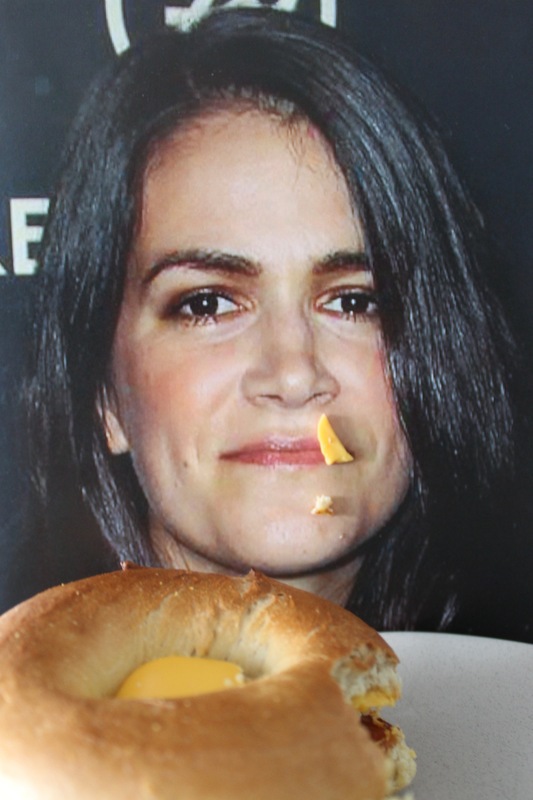 Devour immediately, with a mixture of BEC joy and Broad City abandonment issues.